A healthy employee is a productive employee. Protect the health of your most important employees and ascertain they can perform their duties with employment and preemployment physicals in Amherst, NY from Healthworks Western New York. Preemployment physicals are a simple and surefire way to ensure that your new employees can handle the rigors of the job that you are hiring them for. Our preemployment physicals in Amherst, NY include testing for the specific requirements of the job you are hiring for, in addition to standard health testing. This offers the you high confidence that your new hires are in good health and won't suffer under the strain of their work activities. One of the best ways to improve productivity in your Amherst business is to require yearly employment physicals for all employees. These physicals focus on early identification and prevention of all types of diseases and health problems. Early detection increases the likelihood that treatment will be successful and that the employee will be able to continue to work for your business without interruption. It is important for company efficiency that every single employee at every level receives an annual physical. We offer a number of options for employment and preemployment physicals in Amherst, NY. We accept appointments and walk-ins at both our Northtowns and Southtowns location five days a week. Our Southtowns location is also open on Saturdays. Furthermore, you can arrange for current employee to receive on-site physicals any time of day or night by scheduling an appointment with our mobile on-site services. This diversity of options ensures that your employees and potential employees will always be able to receive physicals at a time and place that is convenient to their schedule and to your schedule. If you want high quality employment and preemployment physicals at time, price, and place that are convenient for your Amherst business, contact Healthworks Western New York today. 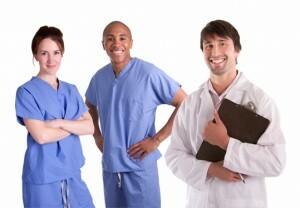 Our premium health services will ensure that every employee at your business is fit to perform their work duties.